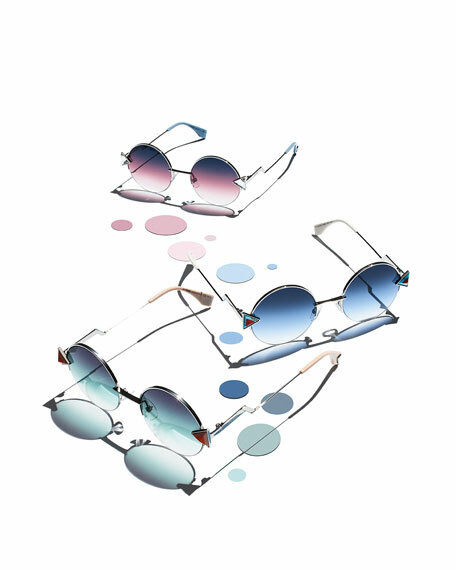 Fendi "Rainbow" sunglasses, inspired by the style of the Sixties. Metal frames with palladium finish. Triangular stone detail at frame front. Logo-embossed temples with stepped detail. For in-store inquiries, use sku #2111619.